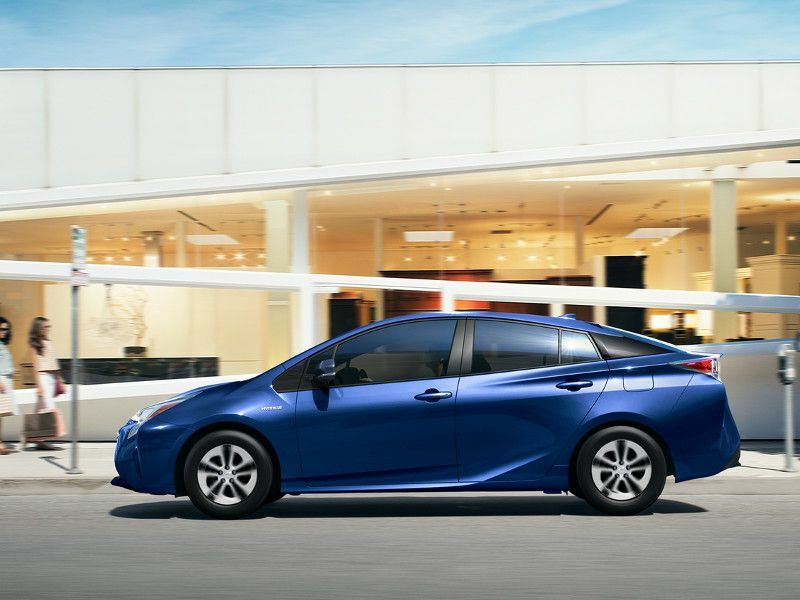 Hybrids are designed right from the start to help you save on gas costs. That’s because their powertrains feature both gasoline engines and electric motors. 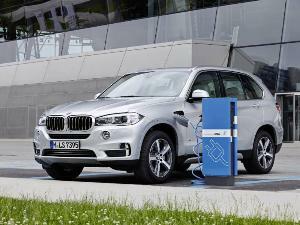 The system's batteries then provide an electric boost so that the vehicle’s “regular” engine doesn’t burn as much fuel. But the hybrid cars with the longest range can help you save time, too. These vehicles let you travel more than 600 miles between fill-ups. Some of them can push past 700 miles on a single tank of gas. The secret? A unique combination of strong EPA ratings and relatively large fuel capacities. 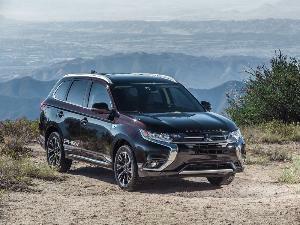 These high-range hybrids also have a wide range of other benefits, including advanced technologies and high-end luxury cues. There’s even one hybrid here that can tow nearly four tons. 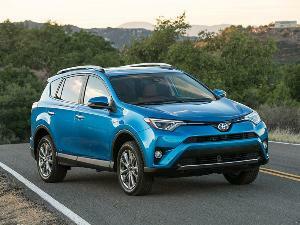 A surprising name leads off our list of hybrid cars with the longest range. 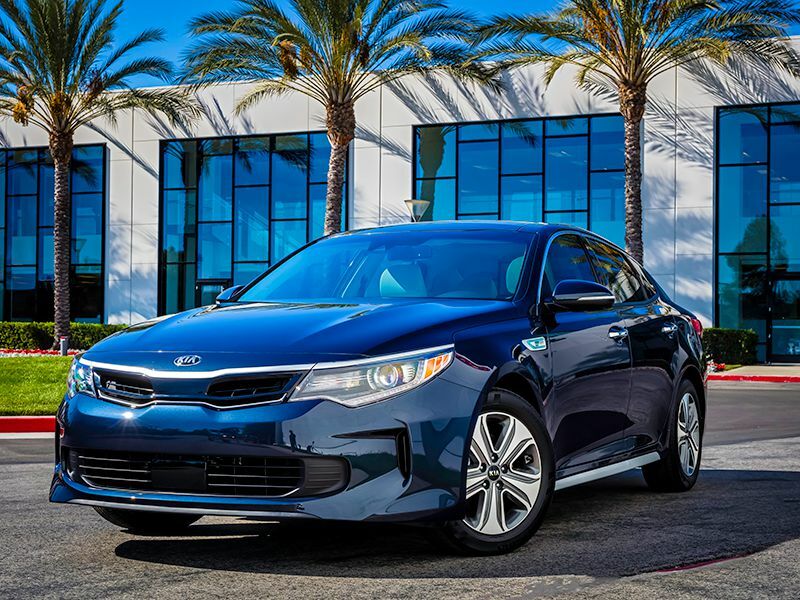 It’s the 2019 Kia Optima Hybrid mid-size sedan, which can post EPA ratings of 39 mpg in the city, 45 mpg on the highway, and 41 mpg combined. Those are certainly impressive, but a number of vehicles have higher fuel-economy grades. What they lack is the Optima Hybrid’s nearly 16-gallon gas tank. With a fuel capacity of 15.85 gallons, to be exact, the car can run the highway for 713.25 miles without stopping for a drink. You can also enjoy standard equipment like heated leather seats, Android Auto, Apple CarPlay, a 7-inch touchscreen, and more than just a rearview camera — the Optima Hybrid comes standard with a blind-spot monitoring system and a rear cross-traffic alert as well. Here’s something that’s less of a surprise: The hybrids with the longest range include the most fuel-efficient car in the country that doesn't need to plug into the electric grid. That would be the “Blue” edition of the 2019 Hyundai Ioniq. 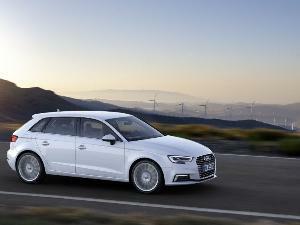 This compact liftback breaks the 700-mile barrier with an overall range of 702.1 miles. For that, credit goes to a fuel tank that can hold 11.9 gallons and EPA ratings of 57 mpg city/59 mpg highway/58 mpg combined. It’s also worth noting that the Blue model has the lowest MSRP in the Ioniq family. Yet despite an affordable sticker price of $22,400, the car brings standard content such as dual-zone automatic climate control, a 7-inch touchscreen, Android Auto, Apple CarPlay, Bluetooth, push-button start, and HD radio. 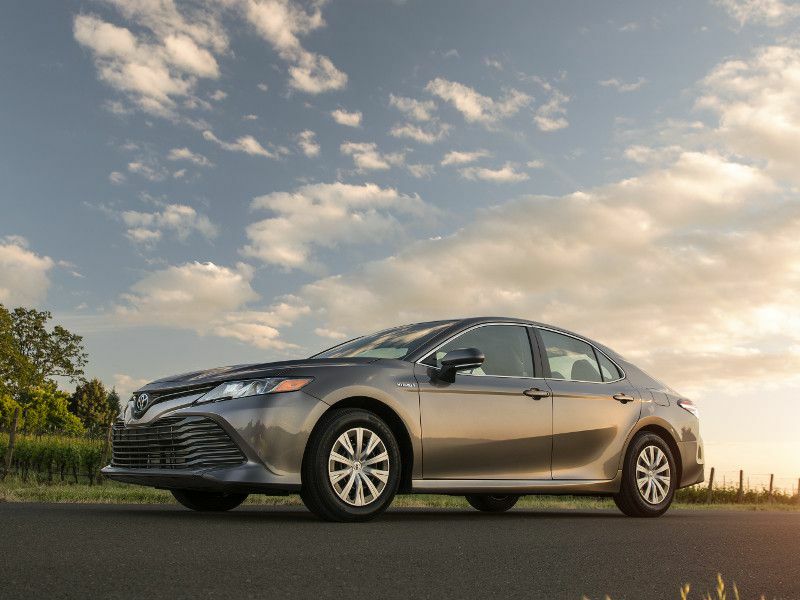 If you’re shopping for hybrids with the longest range, the 2019 Toyota Camry Hybrid mid-size sedan is certainly a safe choice. In fact, the Camry Hybrid is equipped with a standard safety package that bundles adaptive cruise control, automatic emergency braking, automatic high beams, a forward-collision warning, lane-departure alert, lane-keeping assistance, and pedestrian detection — and a rearview camera is also standard. Also standard for the entry-level hybrid are a 13-gallon gas tank and fuel-efficiency scores of 51 mpg city/53 mpg highway/52 mpg combined. When you take into account those numbers, the Camry Hybrid LE has a freeway-cruising range of 689 miles. 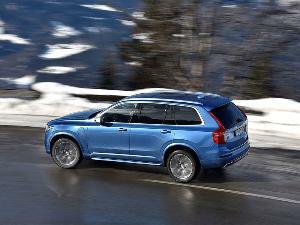 The higher trim levels are rated at 44 mpg city/47 mpg highway/46 mpg combined, for a maximum range of 611 miles. 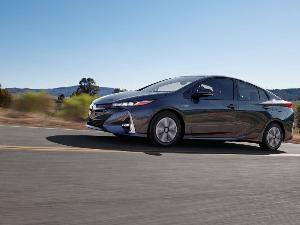 The 2019 Toyota Prius is no longer the nation’s leader for fuel-efficiency ratings, but the Eco trim still has a place among the hybrid cars with the longest range. Thanks to an estimated EPA high point of 58 mpg, plus an 11.3-gallon gas tank, the Prius Eco can go 655.4 miles before needing a pit stop. Just keep this in mind: This compact hatchback actually does its best work in urban driving, so you’ll go the most miles in city travel. (It's also rated at 53 mpg highway and 56 mpg combined.) You can also look forward to a freshened design in the 2019 Prius, which has been revised to better match the stylish Prime model. 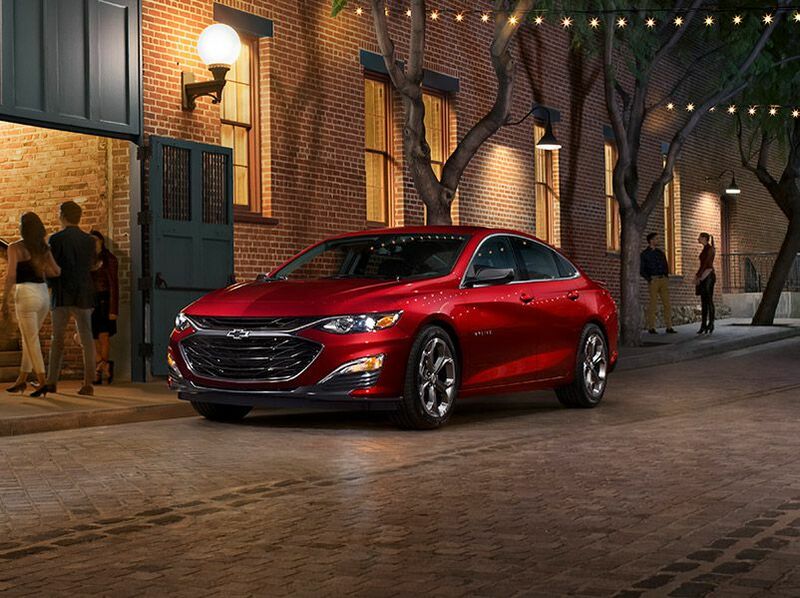 The 2019 Chevrolet Malibu is another strong choice among the mid-size hybrids with the longest range. However, like the Toyota Prius, the Malibu Hybrid is more efficient in city driving than on the freeway. The Chevy shows off EPA ratings of 49 mpg city/43 mpg highway/46 mpg combined. Since the Malibu Hybrid has a fuel-tank capacity of 13 gallons, that gives the car an urban driving range of 637 miles. New technology is also a highlight for the 2019 Malibu Hybrid. It now gets a standard “Infotainment 3” system with an 8-inch touchscreen, Android Auto, Apple CarPlay, and access to mobile apps. And that’s in addition to a mobile W-Fi hotspot and a newly standard 8-inch driver information display. What if you prefer an SUV? 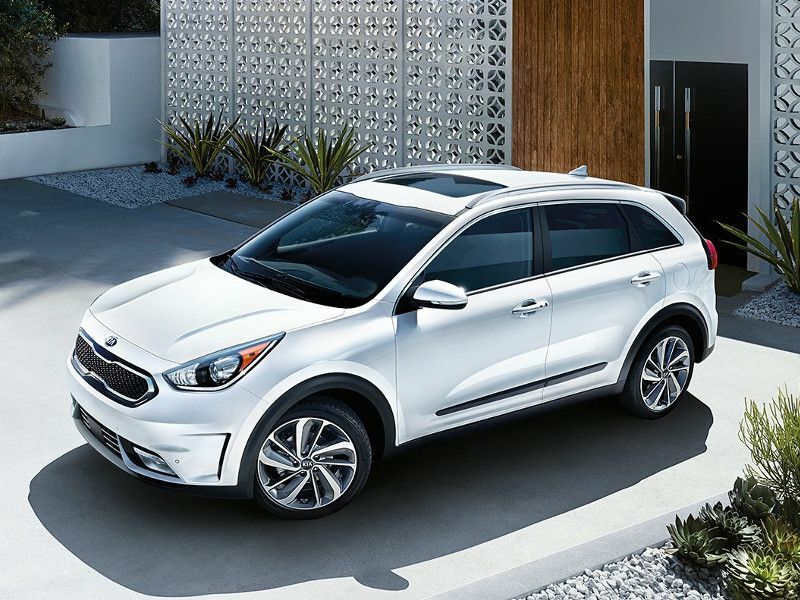 In that case, the 2019 Kia Niro is a noteworthy alternative to hybrid hatchbacks and sedans. True, the Niro is on the small side. But it does provide a crossover-like 54.5 cubic feet of cargo space with a relatively roomy back seat. For our purposes, the Niro’s FE trim checks in with an 11.9-gallon fuel tank and EPA marks of 52 mpg city/49 mpg highway/50 mpg combined. This works out to a driving range of 618.8 miles when the Niro is traveling city streets. In terms of content, the Niro is nicely equipped with a standard rearview camera plus an infotainment system with Android Auto, Apple CarPlay, and a 7-inch touchscreen. The consistently efficient 2019 Honda Accord Hybrid delivers fuel-economy grades of 48 mpg in the city, on the highway, and in combined driving. Factor in the size of the car’s gas tank — 12.8 gallons — and you can see 614.4 miles of travel on nearly every type of road. Yet at the same time, the Accord’s hybrid powertrain is good for a robust 212 horsepower. 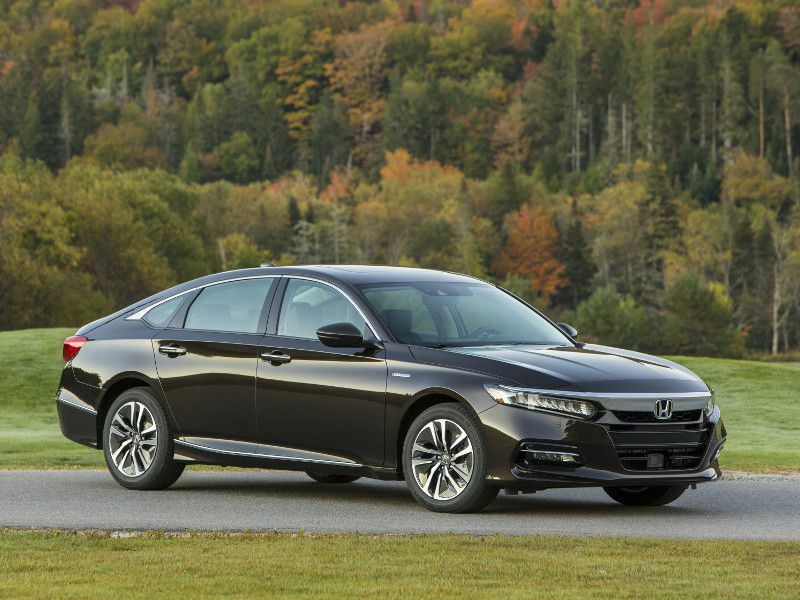 Honda’s mid-size hybrid also joins the rest of the Accord family with a key safety advantage: The Honda Sensing safety package is standard with automatic emergency braking, a forward-collision warning, and a lane-departure warning. Complementing these features is a standard multiangle rearview camera. Although the Blue Oval will be focusing on SUVs and trucks in the future, the company still has one of the hybrid cars with the longest range today. You can drive the 2019 Ford Fusion Hybrid for an EPA-estimated 602 miles without filling up. 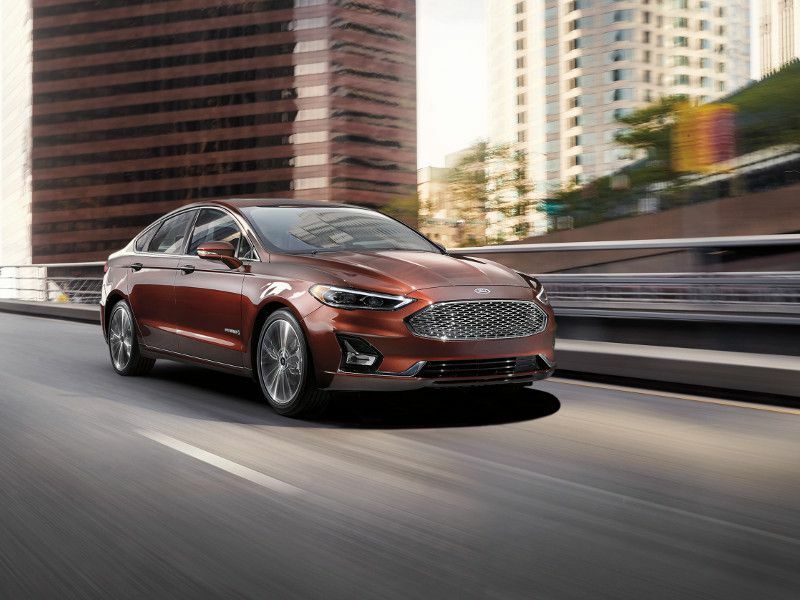 To back up that claim, the mid-size Fusion Hybrid features a 14-gallon gas tank and fuel-efficiency ratings of 43 mpg city/41 mpg highway/42 mpg combined. Those ratings do mean you’ll go farther in the city than on the highway. On the other hand, the new standard safety package for the Fusion Hybrid offers protection in any driving. It bundles automatic forward emergency braking, a forward-collision warning, blind-spot monitoring, a rear cross-traffic alert, lane-keeping assistance, automatic high beams, and a rearview camera. 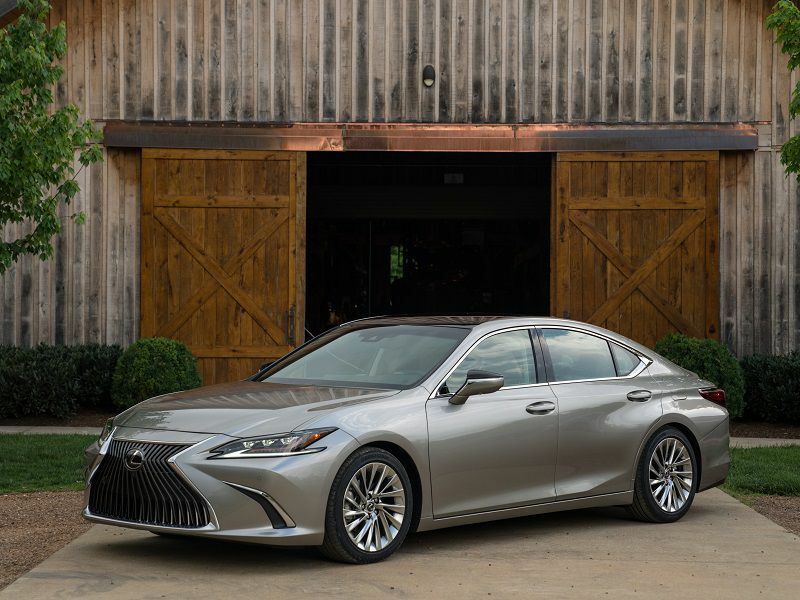 The 2019 Lexus ES 300h is a leading choice if you’re shopping for a premium hybrid cars with the longest range. After all, not only is this mid-size sedan the most fuel-efficient Lexus ever sold, and it’s also the most powerful ES hybrid ever produced: The 2019 ES 300h blends 215 horsepower with EPA grades of 43 mpg city/45 mpg highway/44 mpg combined. When you also consider the car’s 13.2-gallon fuel capacity, the results include a single-tank driving range of 594 miles. Upscale standard content in the Lexus ES 300h ranges from LED headlights to a mobile Wi-Fi hotspot to a high-tech safety package. Real leather and wood are available for the cabin, as is an 1,800-watt Mark Levinson audio system. Believe it or not, even though the 2019 RAM 1500 is last on our list of hybrids with the longest range, it’s actually No. 1 for driving distance. 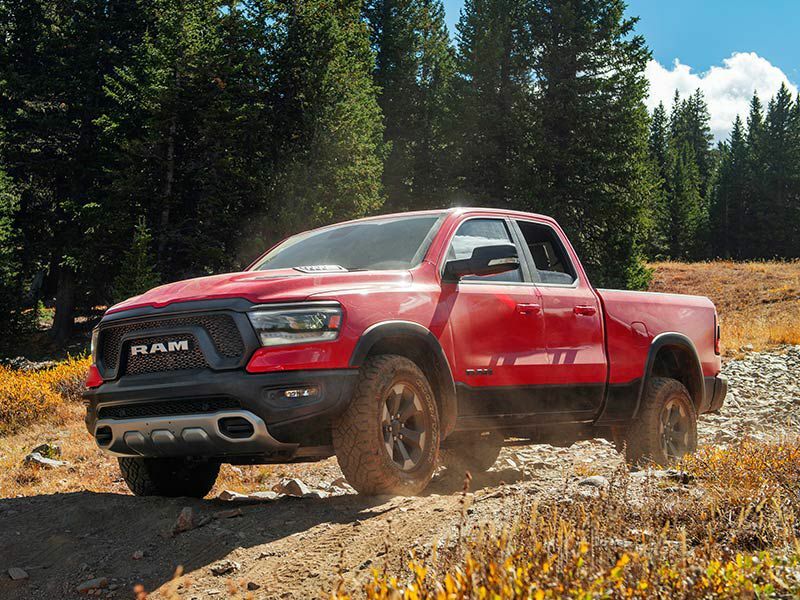 The Ram 1500 full-size pickup's standard V6 engine includes a mild-hybrid powertrain that achieves EPA scores of 20 mpg city/25 mpg highway/22 mpg combined. If you then opt for the available 33-gallon fuel tank, you can stay on the road for an incredible 825 miles with stopping to refuel. The Ram also offers some impressive luxury cues, like heated and ventilated front and back seats, a 12-inch infotainment touchscreen, real-wood cabin accents, and LED headlamps. The high-efficiency V6-powered Ram can tow up to 7,750 pounds, too.